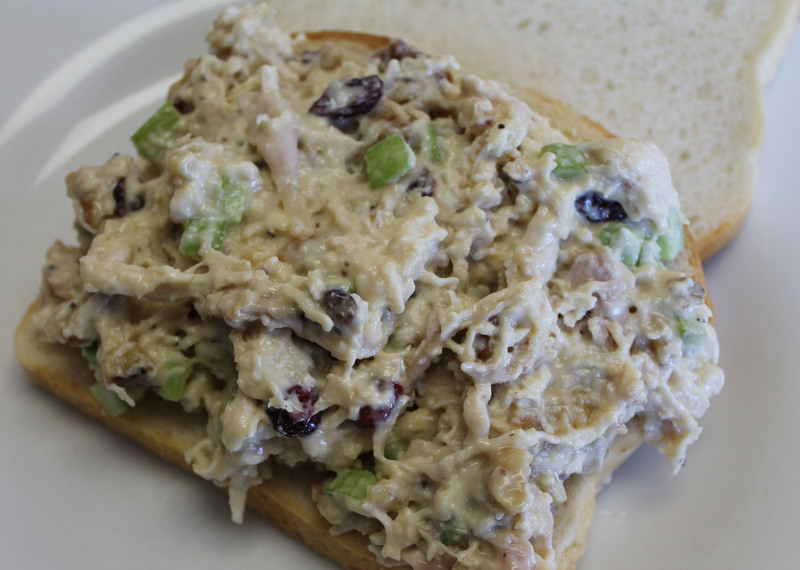 I love chicken salad sandwiches as I’ve mentioned in a previous post! This is the second recipe I’ve posted and I like this one is a tad better. 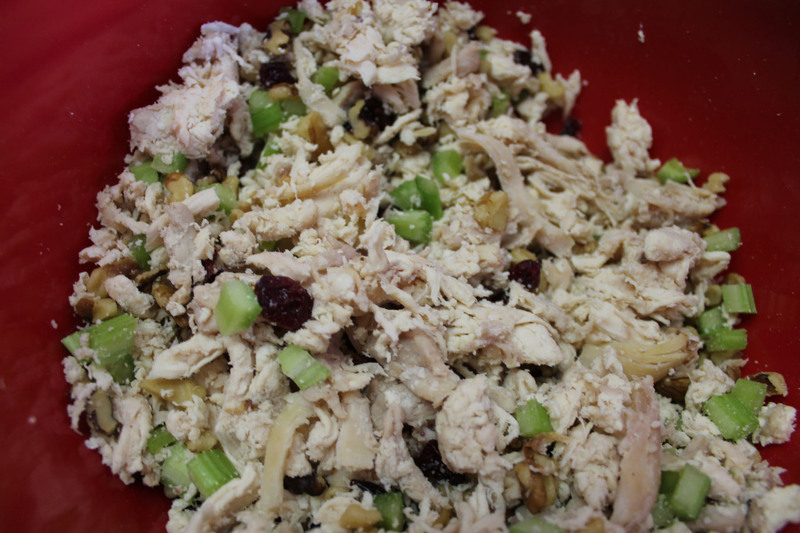 I really liked the poppy seed dressing and the cranberries! I might add some green onion next time to give it a little more kick. The recipe made a good amount of salad. It would easily make 6 average sandwiches or 4 large sandwiches. This is something I could make on Monday and eat all week for lunch! Substitutions: I made quit a few substitutions. I substituted walnuts for pecans. I excluded the poppy seeds (I don’t like them in my teeth). I didn’t have honey, so I used agave nectar. Also, I used shredded rotisserie chicken. I dread shredding chicken. I tend to do a lot of shredding as called for in my recipes. 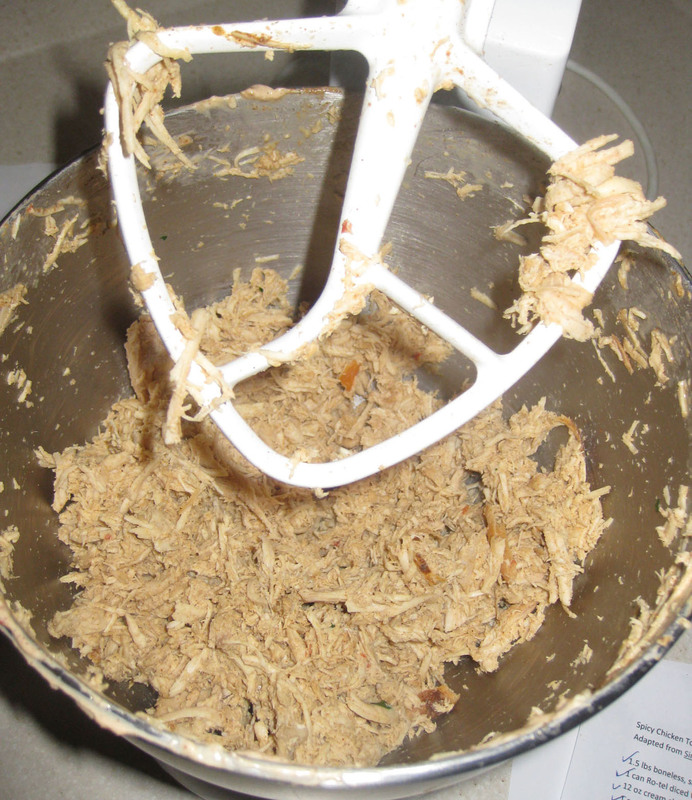 I saw this pin that suggested I use my Kitchen Aid mixer to shred my chicken! This seemed easy enough and worth a try. I tossed in two warm cooked chicken breast. I used the paddle attachment and turned on the mixer to speed 4 and let it do it’s magic for about 20 seconds. Voila! I was impressed with my nicely shredded chicken. This will be a HUGE time saver for me. I’m so glad I came across this tip! Time: 1 minute or less!